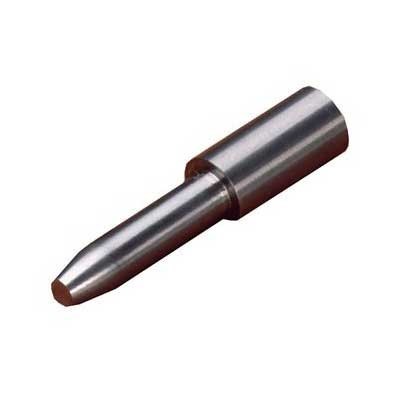 Sinclair stainless steel neck turning mandrels for 17 through 50 caliber cartridges are turned from high grade stainless steel on precision turning centers. Turning mandrels are sized .002" under bullet diameter. The shape and surface of all of our mandrels is the result of years of experimenting by many expert handloaders. Our Carbide turning mandrels are precision ground from solid carbide stock, which yields even closer tolerances. All Carbide mandrels are ground to .002" under bullet diameter. Adjustments on our NT-4000 turning tool will be more consistent with carbide mandrels due to the tighter tolerances of the mandrels. Large caliber (35 to 50 caliber) mandrels fit only the Large Caliber Expander Body and the NT-5000 Turning Tool.